There's a huge amount of model pictures out there on the many 'Hosting' sites, but it's very time consuming to find them. Photobucket has a great 'tagging' system, but I find Webshots a bit awkward. I'll say this though.......I know that this forum has the best 'Tug' photo resource out there, albeit that one has to flip through the boards and source out the photos and links, but that's to be expected on any forum. There realy are some great pictures on here. I am transferring a couple of pictures of my recent rebuild from the What Are You Building thread. This boat was originally purchased in 1979 as a 'kit' (hull and decks) from Glen Staubitz. 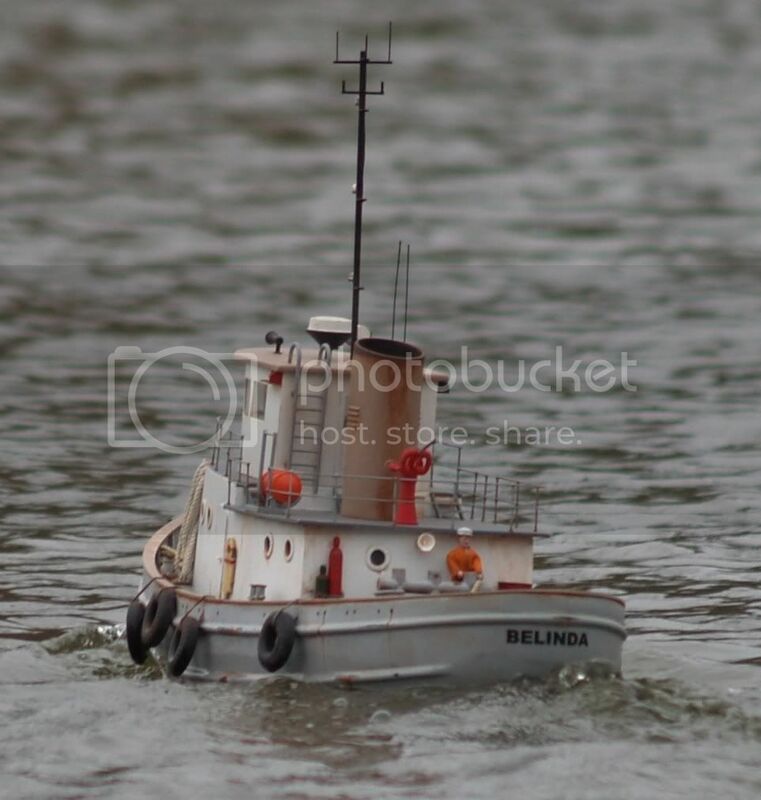 She was built as the steam tug Adler and is 1/32nd scale at 43 inches length. Some contractors damaged her significantly causing the need for the rebuild. She is now a generic tug but fashioned after several Curtis Bay tugs from old Baltimore days. 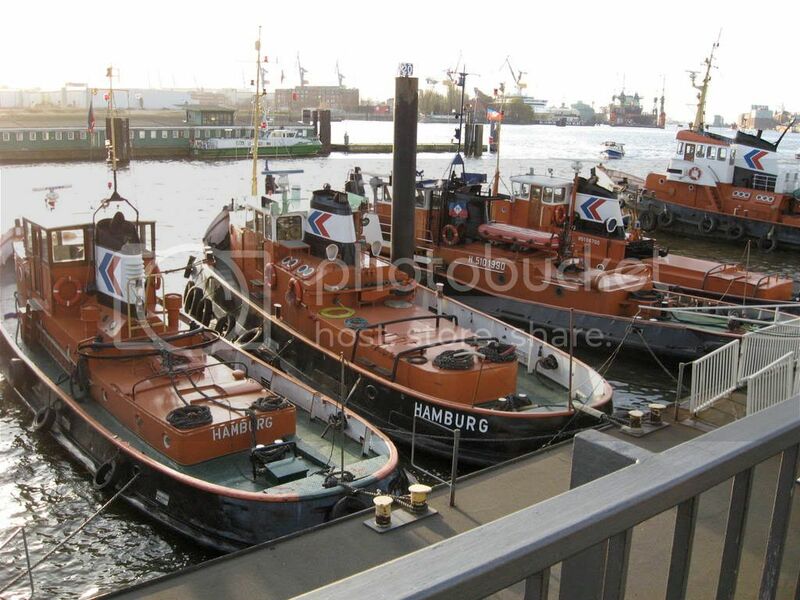 I also have a Staubitz ATA tug which is also in rebuild status (same reason). I am attaching some real ATA pictures and will get some model pics when she is more presentable. She is named Point Viking and is also 1/32nd scale. She is 54 inches long, 15 inches beam and draws 5". She is a bit tubby and quite heavy even with 15 pounds of the ballast removed as well as the battery. (sorry for nicking the thread Mike). Great looking models. i just love that North American shape!! A belter Caleb....Now how about this one from Capt. Jim (Todd). A classic River Mersey tug in Liverpool..
As well as being a `classic` diesel tug I also think she was one of the nicest looking tugs ever. I would have loved to have gone to sea in her.